‘A picture paints a thousand words’; this is a statement that many artists and visual enthusiasts have begun to identify with in recent times. It is one of the many reason that the World Press Photo exhibition 2018 made its mark in Dar es Salaam to offer Tanzanians a rare opportunity to see the winners of the 2018 WORLD PRESS PHOTO contest, presenting the best visual journalism of last year. In a photo exhibition held at the Alliance Française from 24 January to 6 February 2019, some of the best photos in the world highlighting general news, human rights, the environment, sports, and wildlife were displayed. The anchoring messaging in the event conveyed the traits of an evolving landscape globally: fractured democracy in many countries, citizen’s resistance to repressive powers, but also messages of hope, such as a rescued rhino and Zanzibari women receiving swimming lessons without compromising their culture. 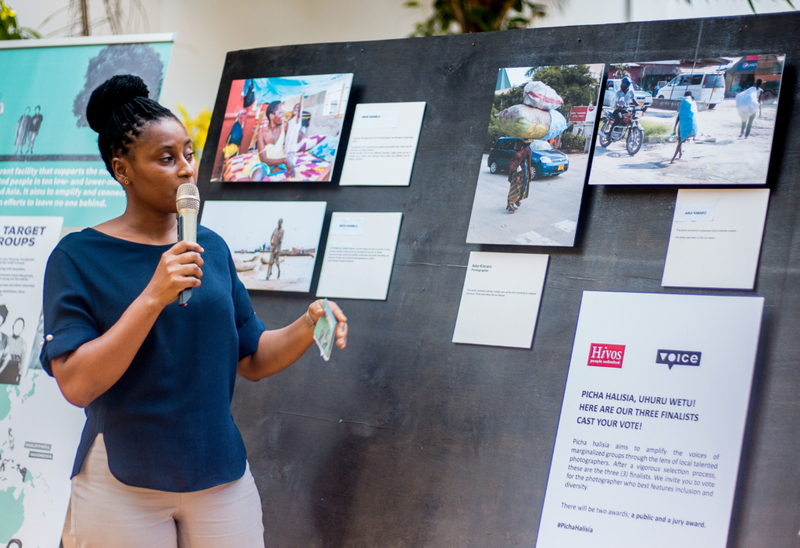 The photo exhibition jointly organised by the Embassy of the Kingdom of the Netherlands in Tanzania and World Press photo in partnership with Hivos East Africa and the Tanzania Media Women’s Association (TAMWA) also featured a dialogue about the state of photojournalism in Tanzania. 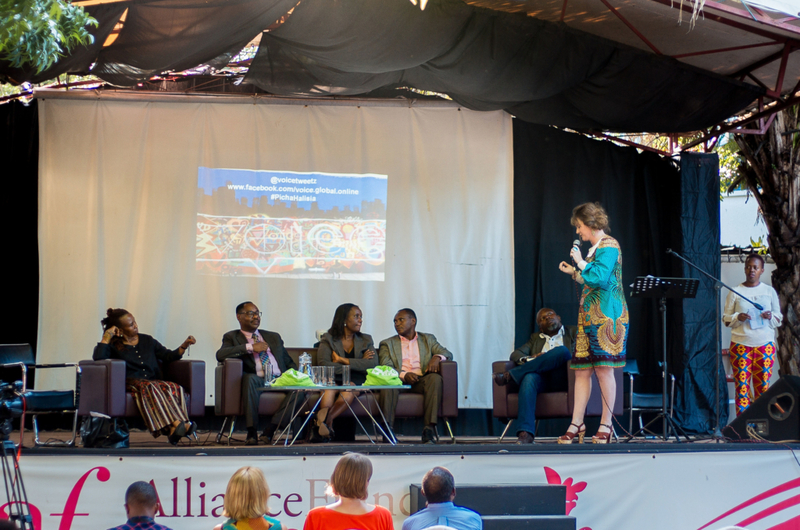 During the panel discussions, experts urged the media and academic institutions in Tanzania to prioritise photojournalism as a tool of propelling social change in society. 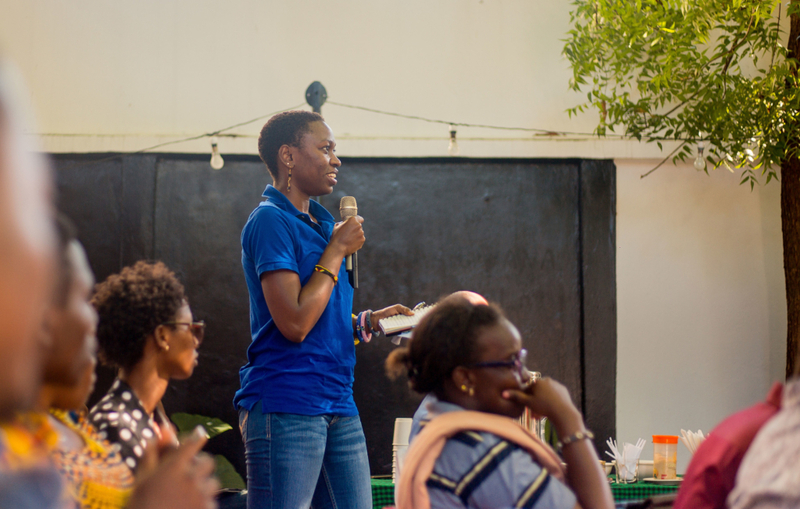 While photography was noted as a relatively young field in the country, young professionals were encouraged to use their tools to share Tanzanian stories with the world. The panel also deliberated what it means to be a professional photographer and what makes a good photograph. Speaking during the event, Lianne Houben, Deputy Head of Mission of the Netherlands Embassy stated that the inspiration of the photo exhibition emerged from the Netherlands’ commitment to promoting freedom of expression as a key pillar to democracy. 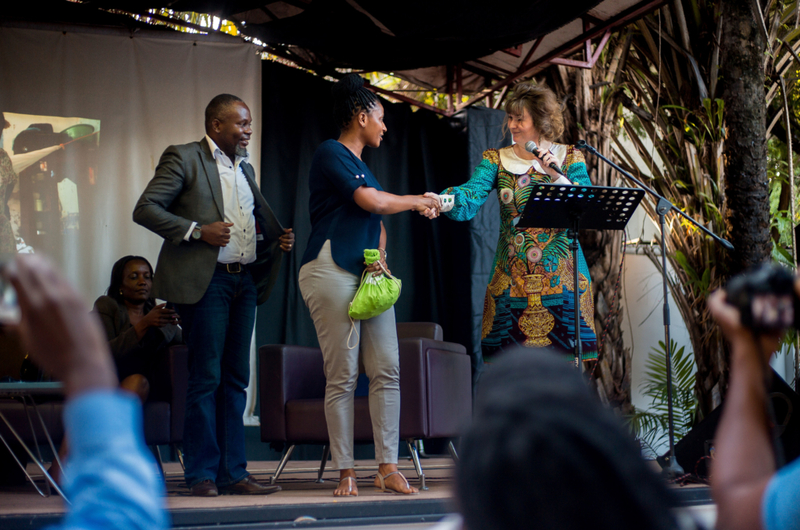 ‘’We hope that this exhibition will inspire more photojournalists in Tanzania to tell their stories not just locally but on a global scale,’’ she added. Marinke van Riet, global programme manager of Voice (a programme jointly executed by Hivos and Oxfam Novib) also noted the need for photographers to be more inclusive in their work by documenting the stories of marginalised and discriminated persons. ‘’Based on our tag line, ‘Nothing About Us Without Us’ Voice seeks to amplify unheard voices. Photography needs to be diverse to give room for adjacent and powerful voices whose stories must also be told visually,’’ she said. 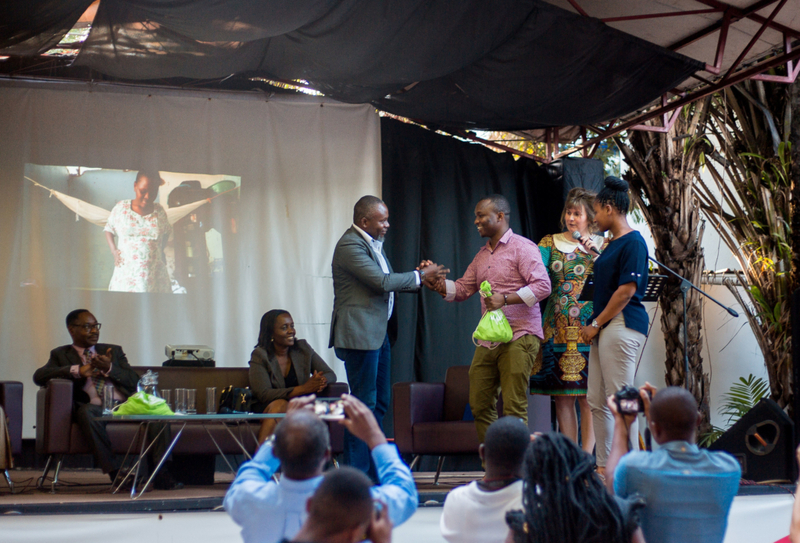 Photojournalist Imani Nsamila receives his award having emerged winner in the photography competition. Photo: Calvin K.
Photojournalist Aika Kimaro receives her award having emerged winner in the photography competition. Photo: Calvin K.
The exhibition culminated into an award ceremony for a public award and a jury award. 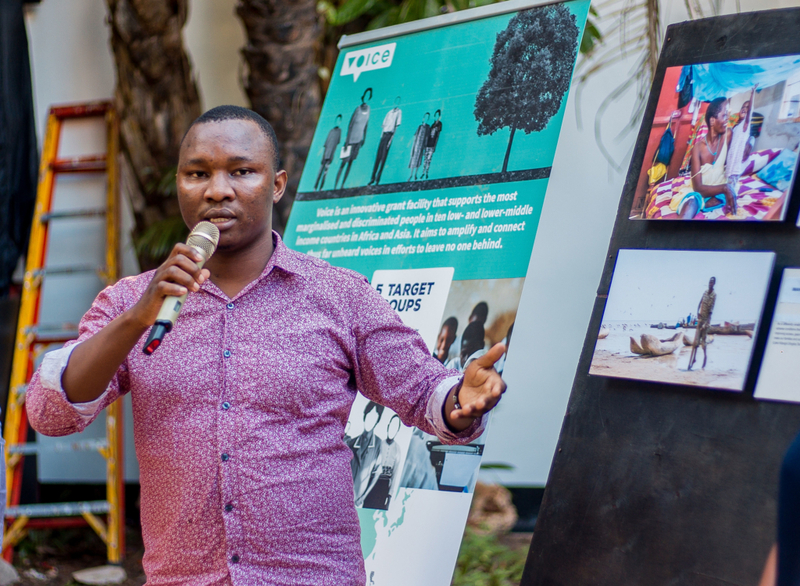 Two photographers who submitted their photos in response to a Call for Proposals called Picha Halisia, Uhuru wetu (meaning ethical images and freedom) were awarded each a 5,000 Euro empowerment grant by Voice to work with the Voice grantees around the country to feature inclusion and diversity in action. Imani Nsamila is a young independent documentary and social photographer with interest in Sustainable Development Goals (SDGs). His work has seen him undertake photography tours in Tanzania, Germany, Netherlands, France, Czech Republic among other countries. Imani won the public award.